The notepad holder "Milk, Eggs Butter" from Helena Lebá for the manufacturer side by side bribes with its simplicity. 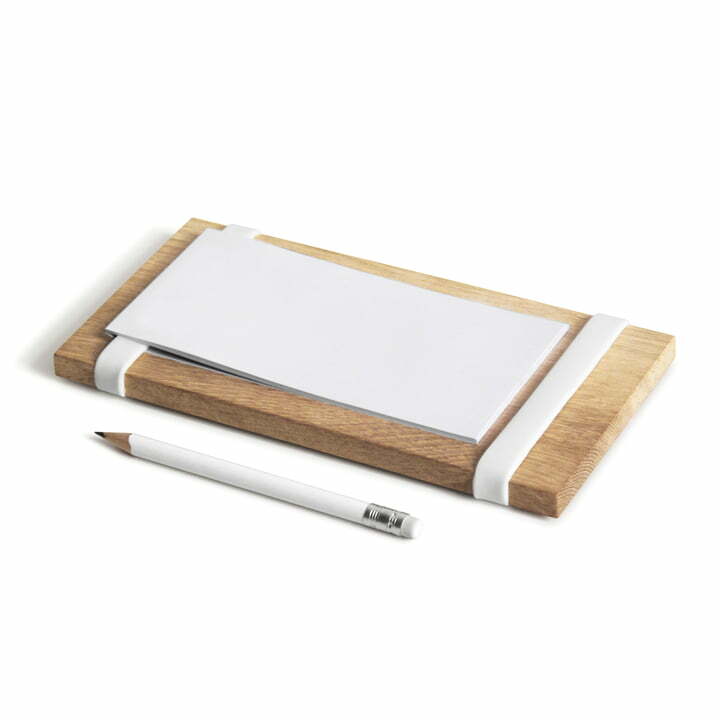 The digital era makes this conventional and analogue design of the notepad holder look unconventional. 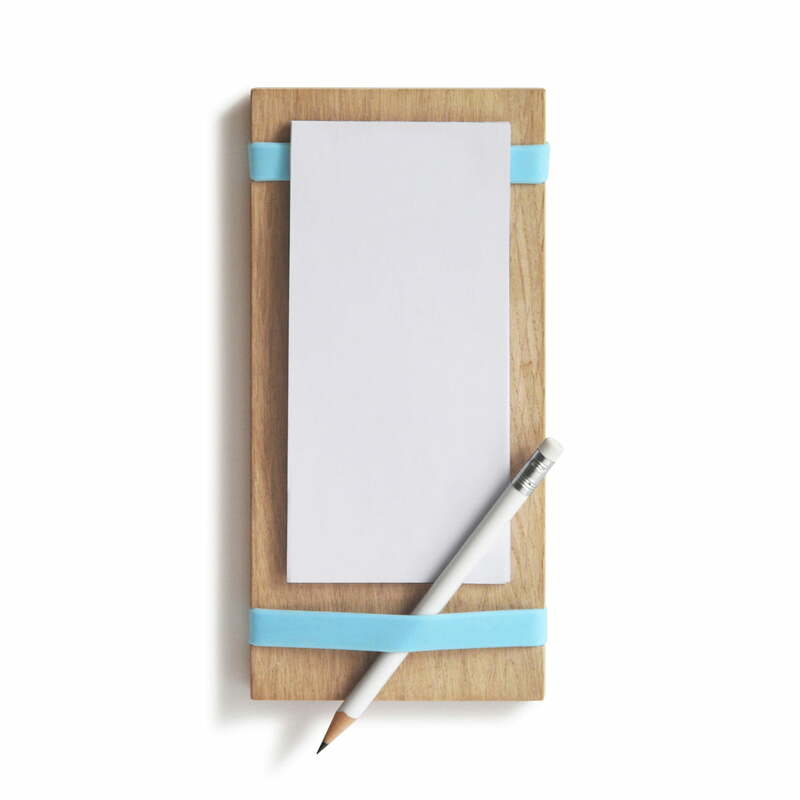 The notepad holder "Milk, Eggs, Butter" invites to leave messages, to write shopping lists or to remember dates made of oak wood, held by two silicone bands to fix a notepad and a pen. The magnets make it possible to fix the notepad holder at the fridge or other magnetic surfaces, waiting for the next shopping list. The oak wood board can also be mounted at the wall with a simple nail. The notebook holder "Milk, Eggs, Butter" is delivered with a pencil and it is produces from side by side in the Caritas Wendelstein workshops / Raubling.